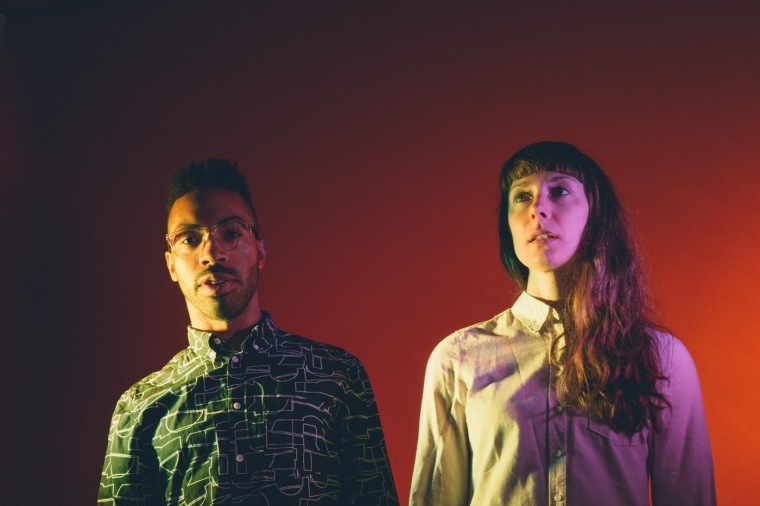 The experimental duo share an uncanny visual, and discuss their new album Ψ. Warp Records duo patten have always treated their visuals with as much care as their music. In their new video "Epsilon," that's clearer than ever: the mixture of distorted electronics and just-out-of-reach vocals with the almost-human figure who stars in the video is enough to give you chills. And if the surreal quality of the animation set to patten's electronic grunge-pop soundtrack wasn't enough of an out-of-body experience, things only get a lot more hellish as the video drives on. Watch it exclusively above and read on for patten's explanation of the visual, and the meaning behind calling their new album Ψ. What's happening in this video? We worked with the brilliant London-based team Werkflow on this video. They're this incredible group using games engines to build these hyper-detailed worlds. They definitely connected with the whole patten thing on a deep level and it's amazing to have a piece that really captures the emotion from the track. Did city life form a big influence on the sound and themes of your new album? We have our studio on the outskirts of London now, so are in this sort of in-between space which we find really inspiring. There's this connection to the mechanical glow of the city, but also to the space and air you find at the edges of things. With Ψ we definitely felt some of that come through in how we were writing — kinda zooming in super-close on the space between things. Why did you name the album Ψ? That letter is really special as it has so many different meanings all flowing out from this one glyph. It's like a prismatic word or something. It relates to a whole range of areas and disciplines, from being the sign for the planet Neptune to the symbol for parapsychology and the paranormal, it's crazy… all from that one simple shape. The flexibility of thought and freedom something like that suggests was really important to our writing and mental space while working on the album. We want our stuff to be really liquid in bringing together so many different things, and in the end to offer up that kind of freedom for other people. Previously, you've been ambiguous about the identity of patten, but for this release, you've both come forward as the "faces" of the project. What was behind that decision? In the past, patten has had different members out there around different recordings so we're more continuing a tradition of it shifting over time. Same as with the music, we definitely like to keep all things possible and in motion. For us that's a really exciting part of making things and putting them out there for people. It's amazing being able to share this new record with the world. Ψ is out now on Warp. Buy it here, and see the duo play live in Berlin or London.